Every day 11 more children and young people in the UK will receive the devastating news that they have cancer. From diagnosis, charity CLIC Sargent’s specialist care teams step in, ready to help, support and guide. They provide a specialist package of support tailored to each young cancer patient and family. One amazing service the charity provides is free accommodation, for the families of children who have cancer to stay in, while their youngsters are treated. 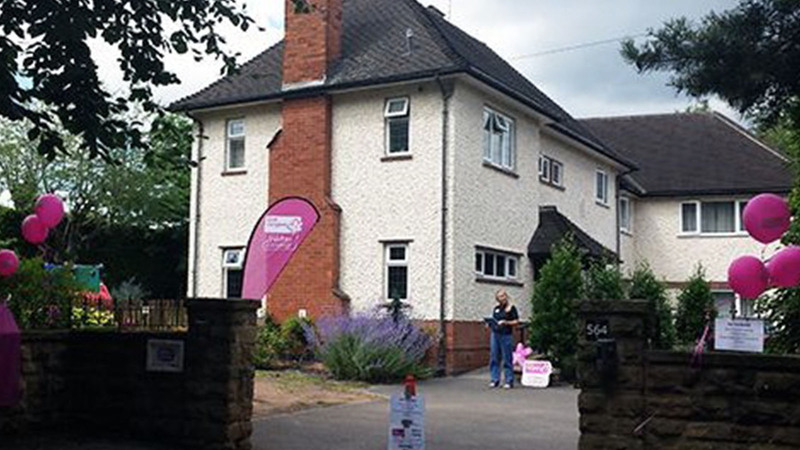 In Nottingham, a six bedroom large detached property was founded close to the city’s Queen’s Medical Centre, by cancer survivor Billy Greenall. Due to the incredible work of Billy’s parents and co-chairs of Billy’s Appeal, CLIC Sargent were able to raise more than £2million to develop and open this home in 2009. Morningside Pharmaceuticals Ltd were proud to help too and sponsored the house in 2016, to enable families to be able to stay in the accommodation for six weeks, while their youngster received Oncology care. CLIC Sargent was formed in 2005 after a successful merger between CLIC and Sargent Cancer Care for Children. Today, the charity fights tirelessly for children and young people with cancer, often when they feel they can’t. They do this individually, locally and nationally, so that they can focus on the important things, like getting well. And if the worst happens, they work with bereaved families to get them support and to help them cope with their emotional pain.